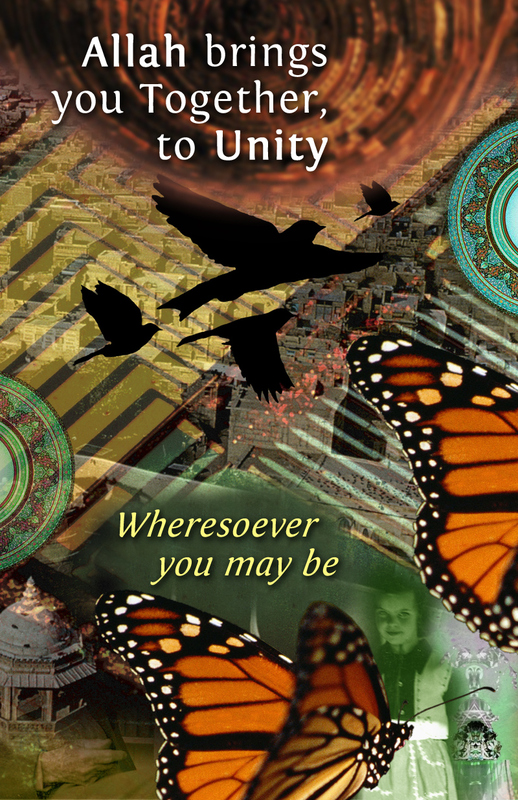 Therefore fly together, towards Harmony, towards Beauty. Allah will bring you Together, to Unity. Welcome to a new episode of our Series of Sohbet where we try to connect and converse with contemporary seekers of the Sufi Path. As indicated with the wisdom signs of the Quran, every person has a unique direction towards which God orients that person. This is why journey of each seeker is so unique, and those who are able to find their Spiritual Teacher in that seeking are specially blessed, as the uniqueness of union and merging of two human Hearts is astonishingly beautiful. Carol Sill, the author of the very unique Book titled, "Letters: Shamcher Beorse and Carol Sill, 1974-1977," is one such blessed individual. Sufia Carol Sill is the pupil of western mystic Shamcher Beorse in mid 70s, whereas Shamcher himself had been a pupil of the great Sufi, Pir-o-Murshid Inayat Khan in the 1920’s - the sage who brought Sufi Message to the West. 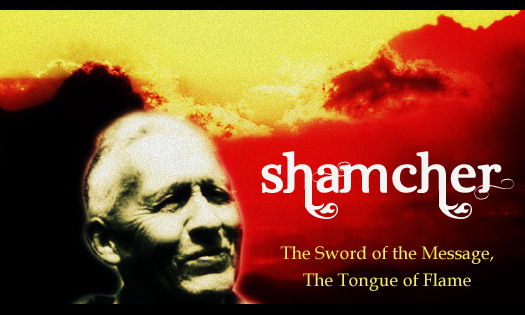 Shamcher was one of Inayat Khan’s chief students, named by him as “the esoteric inner head of the Sufi Order” during and after his life. Shamcher has been described by his student as “the ideal of what a contemporary western mystic can be - an activist, an artist, a spiritual guide - working in all realms, the scientific, the literary, the political and the spiritual.” In the late 1970s, Shamcher Beorse became an important link to Inayat Khan's teachings for a group of interested Canadians. Carol's book is a rare chronicle of intuitive guidance, sharing of soul, passage through the winding routes of Love’s progress, growth and development in the format of what Sufis call Malfuzat or Letters between a Guide and pupil. The book is 'an unfolding correspondence of the soul,' where the process of inner development is documented – in real time, through the original correspondence, for Shamcher mailed all Carol’s letters back to her, with copies of his own, asking her to publish them. Rephrasing a praise for the book it can be said that there are ways for every individuals to intense, impassioned and heightened state of being which Carol and Shamcher were able to inspire each other and arrive at. In this state, openings are created that allow flow of metaphysical communication and guidance from the Highest. Letters do more than just document this process of the heart and mind but also express a pattern for the attainability of such contact with the holy for anyone. Its a great privilege for me to share this Sohbet with Carol here. The communication of this interview was conducted over email. Sadiq Alam: If you are asked to write a brief "Spiritual Resume," highlighting significant milestones in your life, turning points of awakening, meeting with remarkable persons and things happening from the spiritual perspective, what would that be? Carol Sill: In the early days, my "seeking" was stimulated by reading sacred books, poetry and the works of the mystics of all faiths. A significant dream after reading an Arberry translation of Rumi drew me further into the Sufi realms and I was inspired to look for more Sufi literature. I was living in Calgary, it was the early 70′s, and I’d joined a mail-order book lending service called the Lucis Trust Library. They sent out lists of available esoteric books and you could borrow them for free. Slow process in comparison with today’s world of too much information, but the library is still functioning. In the list, along with all the Alice Bailey and other esoteric books, was a title that looked interesting with an author whose name looked “sufi” to me. 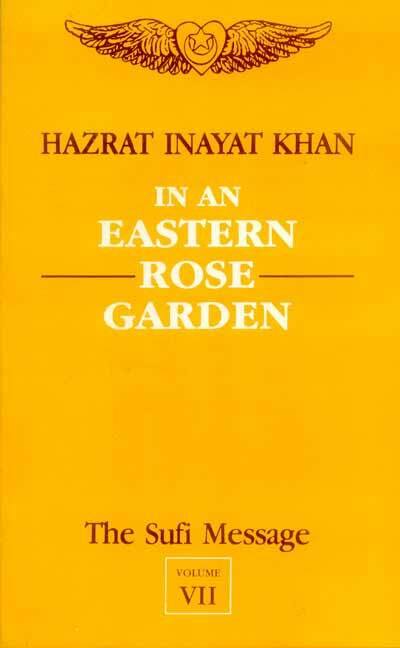 In an Eastern Rose Garden by Inayat Khan. I was interested in the sufis, so took a chance. A very worn and thick red book eventually arrived in the mail from New York. It had a beautiful prologue about the garden and the gardener, then selections of lectures. I was totally astonished at the depth of thought and simplicity of explanation. It was as if I recognized it all from before. I read and reread that book as if my life depended on it! The book had a photo in it, which I also studied each time I opened it. When the month was up and the time came to return it, I recorded some of the book so I could keep it – yes, reel to reel – I read it into the microphone. For a moment I toyed with the idea of not returning the book. It was already very very old and had been read many times. The worn cover was falling apart, I knew it wouldn’t last. But how could I steal from an esoteric library? Bad idea. I packaged it up and mailed it back. Then a friend found that there were more of the books, 12 of them! We set about ordering them one at a time, the hard cover Orange Volumes. 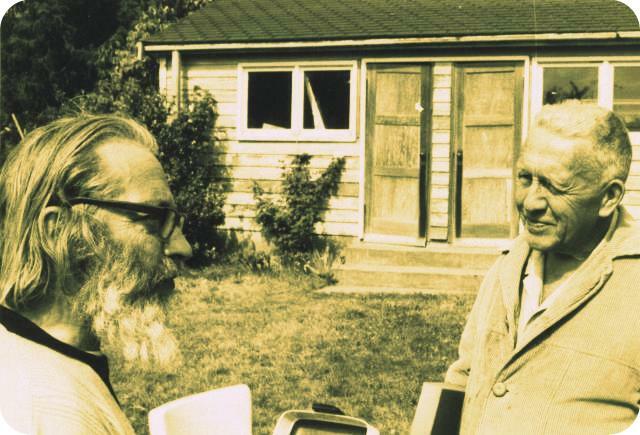 How was I to know then that this would become a lifelong study, that I was to meet one of the students of Inayat Khan, Shamcher Beorse, and be initiated by him, or that I would come to meet both his sons, Pir Vilayat Inayat Khan and Pir-o-Murshid Hidayat Inayat Khan? And of course, early in the process, learning that his name “Inayat” was not pronounced INayat (like “idiot”) but inAYat. Through this contact I’ve also met and learned from so many many remarkable people. All this contact emerged from the magical weaving of circumstances and events that is the sufi culture – a remarkable reality that infuses this so-called reality with the presence of divine guidance. From that time on, my life was carried along on the current of my soul’s true destiny. My story is not unusual. Anyone looking into these teachings finds life treasures and potentials to be unfolded through time. 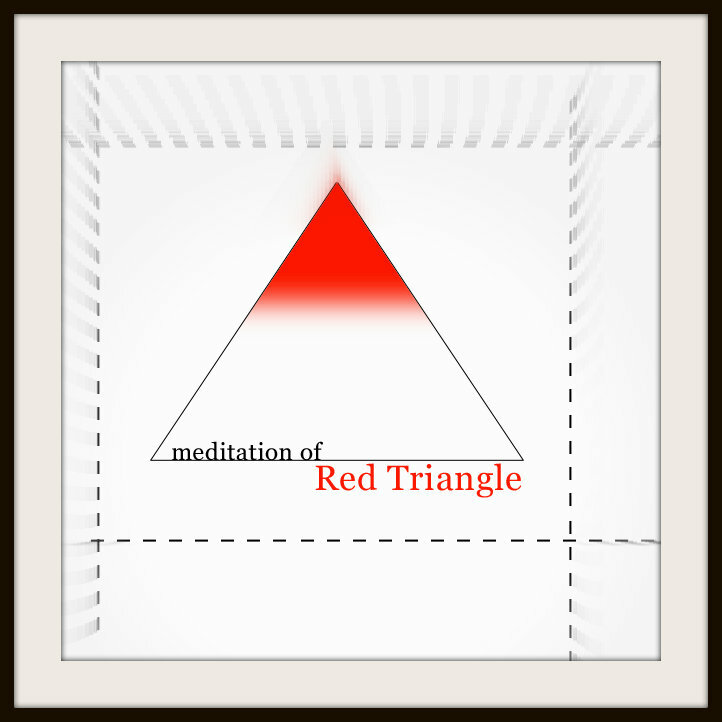 Discovering the Orange Volumes of Inayat Khan were a significant turning point for me, and I became drawn to and aligned within to this approach. But I still hadn't met any Sufis. At the accidental death of my son, I was taken along with him for a time, and this was the greatest initiation. After that, I had no choice but to set foot firmly on the path, meeting first Shamcher Beorse, and then other Sufis he introduced me to, both within and without Sufi organizations. I hadn't made contact with anyone who was a developed soul that I was able to recognize on an inner level until I met Shamcher, who awakened my intuition. In existing organizations, some connections and blessings include: contact with Pir Vilayat Inayat Khan brought me in touch with the Sufis in North America; meeting and working with Murshid Hidayat Inayat Khan took me into the beautiful depth of the esoteric Zirat activities of the Sufi Movement; and an initiation in Holland through Sheikh-ul-Masheikh Mahmood Khan. I mention these connections only because they're more public names you may recognize. But my life's path brought me to receive from extraordinary people, remarkable events and difficulties, all in the book of nature. How did you meet your spiritual teacher and was there any particular even that sealed in your heart the recognition that he is the person? I first met Shamcher by letter, and when I received a second letter from him I "knew" in my heart that this was no ordinary relationship, no ordinary correspondence. Although I'd read about the process, I didn't realize what that process was until I was taken into it. It was a love beyond love. I would have thoughts in my mind, whole sentences and ideas, that I would then read word for word in his letter when it arrived. I was taken into this realm we shared in vision, dream, and waking thoughts. When I wrote in my journal, it turned into a message to him, and so I was impelled to visit him in person. When we first met, I was confused. I'd never seen him and he looked smaller, an ordinary old man. He picked me up at the ferry, with his wife Evelyn, and we drove to an all-you-can-eat buffet in a nearby shopping mall. When we parked, he looked at me directly and asked an everyday question. I saw his incredibly blue eyes, revealed almost as laser-lights, and then I "recognized" him. We had lunch at the brightly lit cafeteria, and he introduced me to his world. 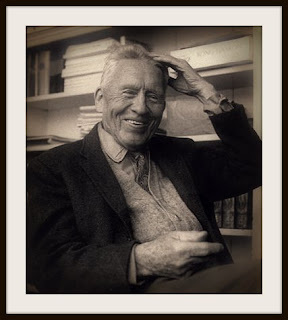 It was then that he told me he had been a pupil of Inayat Khan, whose books I had read so faithfully. This meeting confirmed everything I had felt: it had begun. 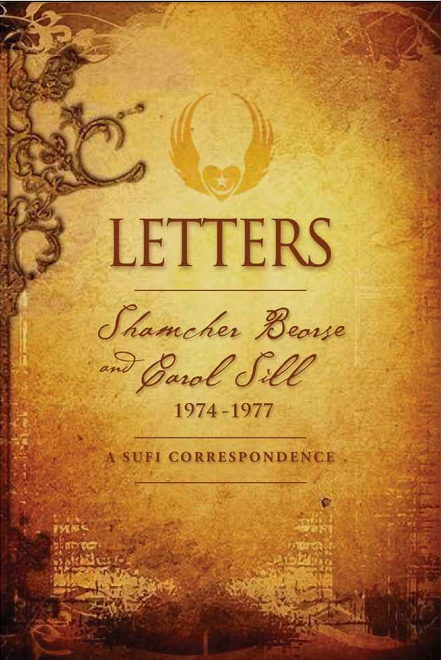 In one of the letter Shamcher shared that “in 1970 at a large meet in Los Angeles Pir Vilayat addressed him as “the esoteric (inner) head of the Sufi Order” and said that it was not him but it was Hazrat Inayat Khan who elevated Shamcher to that position. What was the significance of him being the esoteric head of the Sufi Order? Shamcher told me that his inner experience had confirmed what Pir Vilayat had said. Just before Pir Vilayat announced this, Shamcher had been sitting at the back or side of the group as he often did, looking perhaps as if he were meditating, or perhaps like an older man closing his eyes and drifting off for a moment. And as he had drifted off the same thought came to him. He opened his eyes and right then Pir Vilayat spoke to the group, naming him "esoteric head of the Sufi Order". This publicly confirmed the inner link of communication between Shamcher and Pir Vilayat at that time - a link that also included the presence and activity of Hazrat Inayat Khan. Your question opens many delicate areas of exploration and meditative query. Who or what is an"esoteric head"? Is there always an esoteric head of an order who is not seen, or only in this particular circumstance, at this particular time? And whoever is esoteric head one day or one minute, are they declared so forever, or is this a gently transforming environment subtly sensitive to all feedback and the needs of the moment? I love contemplating these ideas. One thing I do believe is that recognition of the achievement of a particular state, when acknowledged by one who knows, offers greater accesses. While deciding to publish these precious and very delicate letters of the Heart, I am sure it occurred to you that people might misread these letters as emotional love letters, which they are not. It must have taken great courage and strength of soul to put that behind. How did you overcome the negativities? Thank you for going to one of the main aspects of this book, and an area that can be so easily misunderstood. I had promised Shamcher I would put the letters out and so was impelled to do so. For years I hesitated, but I couldn't wait my whole lifetime. I had to revisit the letters without personal attachment or self-consciousness, and the process of publishing them burned that all away. When they were written years ago, these letters were private, personal and intimate, revealing the burning of the heart, the opening of the whole being, a birth of the soul - all within his loving guidance and participation.This intensity is a love far greater than the usual personal love between two people, it is a love of God .The experience is not an idea about the love of God, not a concept, not within small and tidy boundaries of our minds. I think this book of letters is for those who can see and understand that. What is love, what is devotion? Our language uses the word "love" for so many meanings, but it is all one. I don't mind if people call these love letters, for they awaken a universal resonance from the heart, like songs do. But on another point, who is to say that a personal love between two people is not also God's great experience ? In the realm of human experience much has changed in the last couple of decades. You've perhaps seen great changes in the spiritual landscape of West, specially in Canada where you live. How do you see the change and what challenge and priorities do we face now? Times have changed tremendously since the days of this correspondence. We are in another age, and life is experienced with a different sensory ratio, in a very different mode of mind and heart. An intense fervor of seeking swept through those of us who were young seekers at the time of these letters; this was a normal state for so many of us. Now, many of our technologies are taking the place of telepathy as our externalized nervous system surrounds us and we live within it. We physically carry our friends and co-workers with us in constant instant contact in our social networks, and all life and events are commodified, recombined and sold back to us in an unending cycling and recycling of our own energies, interests and activities. Our perceptions are shared, privacy is gone and yet we are more isolated than ever before. The message of the heart is more necessary in this age than ever. Informational knowledge is not what we need, it is wisdom. The good news is that there is total access to all the wise words down through the ages, and all so-called secret and esoteric practices are posted somewhere on the internet or published and available. Even the information that was considered most sacred can be accessed and downloaded, like torrents of recent movies. The next step is to make sense of all this, and to heal the heart of humanity, which has been numbed by this social transition. The immense popularity of the poetry of Rumi in so many translations speaks to this Heart. Yoga, meditation, traditional Chinese medicine, alternative healing modalities, and so much more that was considered to be kooky or unusual are now openly embraced and established. There are Sufi Centres in, or near, most cities in North America and the message of Universal Worship can be seen embedded in our cultural attitudes and approach. Because of advances in psychology, people are wary of "the spiritual bypass" which can be seen as denial of the realities of life. Shamcher always emphasized life in the world, helping humanity through following the intuition and the Spirit of Guidance. This is a good message for these days, as we require everyone to interconnect and use the tools at hand to help us save the human experiment. The idea of seeking and of finding naturally leads to service and human fulfillment. But there is a great deal of work to do, we do need "Every Willing Hand." Again and again in Shamcher’s letter it seems to be that he was trying to ingrain this truth upon the heart that in comparison to the Absolute Existence and from the vantage point of Divine Reality, we “as a separate unit do not exist.” You mentioned that Shamcher often said that he didn’t exist. Would you elaborate of this non-existential existence? And perhaps add your own understanding of why its important for a Sufi who is advanced to melt away in God and hence not to exist, really. Your question is the essential one. We do not exist as separate units, this is also the message of the Diamond Sutra, it is living the meaning of "This is not my body, this is the temple of God. This is not my mind, it is the mind of God. This is not my heart, it is the altar of God. This is not my soul, it is the Soul of God." It is the natural outcome of the zikr, and is the Divine Secret. And although we say we are seeking this Divine Annihilation -Union-Oneness, we are at the same time imagining that we will still be able to experience it, savour it, remember it. And so with this mistaken idea we go toward it, "Toward the One," to die before death. These are not concepts. Shamcher always said he was nobody, and he really didn't exist. He also said he was "a mind on sticks." The awakened intuition functions through the surrendered self, so the Greater Self may live. I believe that every Teacher, every Messenger has a core realization around which all his teachings revolve and generally that realization crystallizes as simple statement of truth, profoundly simple but may encapsulate the whole of realization. If you were to identify that single statement (or few statements) that capture the message of Shamcher that he attained to and was transmitting – what it, they would be? He often quoted one of Inayat Khan's 10 Sufi Thoughts :"There is one Holy Book, the sacred manuscript of nature, which truly enlightens all readers.". He also quoted Buddha's Last Address: "Be a lamp unto yourself." 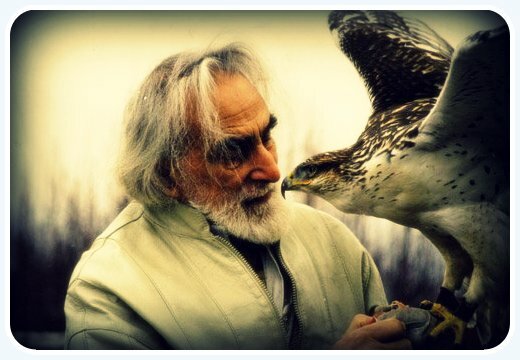 And Inayat Khan again: "The Sufi has two points of view, his own and that of the other." In a letter Shamcher nodded to you saying that you ‘are all set to leisurely build a beautiful organization while laughing at yourself and being blessed by those you built it for.’ I believe you did start building Sufi organization on your own continuing the Message of Hazrat Inayat Khan. What was that experience like and what is the single most advice you would like to pass to the next generation or generations to come? In our time, like other times, the need for building community remains as a necessity. In our time when people are more and more isolated, having access to more ways to distract and cut ourselves off from each other, the need for building and sustaining community is a real need. You were encouraged by Shamcher to let organization form which shall welcome all with open heart and he emphasized what is needed is not 'organizer' but ' heart', people of heart so to speak. What is your view on the need of organization, in the context of spiritual seekers and what is your advice for new seekers (specially for Sufis in the West)? Shamcher was very sure that there needed to be a radical change in sufi organization, that the idea of hierarchies was no longer necessary and that sometimes the heart of the ditch-digger is way above that of the head of the ashram. He transferred these approaches to me, approaches that even in these times can appear to be radical. He often said, "Who am I to initiate anyone? God can do that without my help." For years I helped facilitate Sufi groups in Canada, and I always loved the idea of each group having autonomy. Starting out in Edmonton, we were a perfect experiment for Shamcher's way - we were inconsequential, under the radar, just a little group of Canadians in a far outpost. We did it from within, without external overarching organizational contact and instruction. Then as things grew, we became "instructed" more and more. I truly believe that every Sufi makes a difference. In a small organization, this can work. A new person coming in has as much to offer than the old guard, and often even more. Chemically or alchemically, the whole is then catalyzed and transformed, renewed. It is not a question of gathering followers, but of creating a living and changing community. It is not even a question of building an organization, but of creating a fluid and responsive network, where each member carries the responsibility for the functioning of the whole. We now see more models of this way of organizing, and they have come not from spiritual groups that are often very stuck in hierarchy, with separation of teacher from students, levels of acceptance and intiatory requirements, (not to mention the gathering of money to support the organization.) The models of the new fluid way of organizing come from the tech world, from bar camps and unconferences. It can work for specific Sufi events too, and I hope we will see more and more of this in the times to come. This is the kind of organization that interests me very much. Many sufi organizations call themselves international, with centres worldwide. Some of these centres are simply individuals who have taken on that responsibility, and have put their name forward as contacts. They may feel they have "failed" if they don't have a strong and developed group to feed back into the organization. I see each one of the individuals as such a "centre" - the medieval description of God as having centres everywhere and circumference nowhere. These centres are nodes of contact and are connected innerly and seen by God's own eye. When required, they interconnect to create activities or events. When not required, they act interdependently with others seen and unseen. In the Epilogue of the Book "Letters" you mentioned that after the passing of Shamcher in 1980, may his soul be in the highest Garden - forever in the presence of the Beloved, you realized that this relation was truly unique and it was not possible to have a similar experience with others. You also mentioned that after he left his body, you met only in intuition. Did you actively been guided by him directly from the unseen realm? Yes it was a unique experience, because of his depth of being and awareness, and my complete readiness to receive. And now, over the years, of course I feel actively guided by him directly from the unseen realm, as others do too. Does this mean he is now a sufi saint? How he would laugh at that. When he passed he gave his body to science and left without a trace. How do you think it happened that you and I are having this disembodied conversation right now? It is the same principle, the same currents. We engage and discover just who is the Personality behind these remarkable doings, and under whatever name and form. For anyone who is newly attracted to the fragrance of Sufi path, if he, she wants a practice to do regularly, something to prepare his, her heart to receive the Divine reflections more and more, what that simple practice would be to practice on a regular basis? this is not my heart, it is the altar of God. Sufis are seekers after truth, whether they call themselves sufis or not. A sufi is accepted as such as soon as he wants to call himself so, or even if he won’t. To me, everyone in the whole wide world may be called a sufi, or, if not, then I may not be one either. A sufi may know all the jokes and tricks of a magician but he is more serious than any saint or government economist or garbage collector. And he loves them all with a love so fierce, so bitter, and so sweet that in comparison with this love, the magnitude of it, he himself disappears, and no longer exists. You know your feeling of being lost, of no longer knowing yourself is just a sign of welcome development. For actually, you don’t exist. The prevalent idea that each person is a separate unit, a so-and-so, different from and separated from anyone else is just an illusion. All minds are connected with the Universal Mind and interconnected, and when you begin to realize this it is at first confusing. “Who am I? Where am I?” You are in everybody. That’s why many want to belong to a good friend or teacher at this time, for it is easier to see the connection with such a being than with anybody. Truth is better than falsehood, even though falsehoods are sometimes comfortable to some - for a while at least. Not only do your letters speak to my mind, but they also speak and shout and whisper and sigh to my heart. And my soul. “You are vast,” you say. But as they say in Norway, “It takes one to know one.” Every human being and also every tree is vast. And she who sees that vastness is vast herself. It is in her vastness that she sees another’s. Let this be the lesson: do the best you can and all things will be added as you need them. We speak of trust as one of our most treasured qualities. Also faith and love, forever kindled. When a dervish says “I do not exist,” that is not affectation. About Samuel L. Lewis or Sam, Shamcher wrote: "Where do we find this specimen called mystic? .. A transparent example completed his life among us early in 1971.. Samuel L. Lewis was a native San Franciscan and a horticulturist. Early he had an urge to find truth or. at least, find something. The theories offered him in religion and science interested him but did not satisfy him. In 1910, an Eastern mystic, Inayat Khan, a Hindu musician of the Moinuddin Chishti order of Sufis, came to San Francisco. In 1923, Sam became his pupil. Sam is like my father, or brother, or son or, perhaps I should rather say, like myself, myself as I want to be. He knows when I am hungry and feeds me. He never argues, never criticizes or preaches. He's just there. I'm taking up my responsibilities in society again because of him, though he never told me to. He just has that confidence in me, more than I have myself. ... Suddenly Sam turned to me, "Pir-O-Murshid Inayat Khan just appeared to me telling me to share all my experiences with you." Carol Sill has been engaged in the practical application of ancient spiritual wisdom for three decades. After founding and encouraging the development of Sufi centers in Western Canada and teaching meditation in the open tradition of Inayat Khan, she now brings this awareness to publications - connecting media, culture and consciousness. Her writings include Human Ecology: Notes on the Sacred Element Work, Documentary Print and the recent Letters: Shamcher Beorse and Carol Sill, 1974-1977. 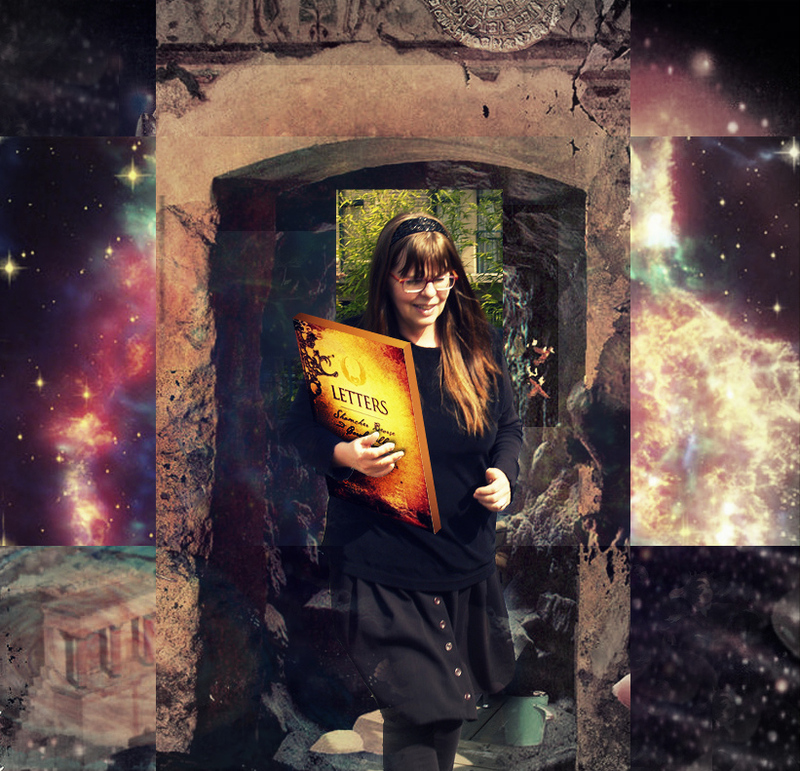 She has co-produced interactive artwork and websites, and has led various workshops and events. Her experience and group work is informed from her Sufi study and practice, which was catalyzed and mentored by Shamcher Beorse, Pir Vilayat Khan, and Hidayat Inayat Khan. She has participated in Buddhist study and practice with Geshe Kaldan, as well as taking part in sweat lodges, dances of universal peace, zen meditation and yoga disciplines. One of the founders of Lake O’Hara Camp, an annual meditation gathering which lasted over 21 years, she also founded and encouraged development of sufi centers in Western Canada, teaching meditation in the open tradition of Inayat Khan. Ordained to perform Universal Worship, she provides services for weddings, funerals, baby blessings and house blessings. Since the mid-90s, Carol has been actively involved in digital media. Her background includes international broadcast and non-theatric distribution, new media education and independent production. She taught for many years at Vancouver Film School New Media, developing curriculum and courses, and also taught several Writing courses at Langara College. A project which she wrote and co-produced with James K-M, Electric Living in Canada, is an overview of digital culture involving interviews with 100 digital artists and media theorists. A graduate of trade Publishing Intensives (SFU, Banff Centre), she founded Alpha Glyph Publications, Ltd. to provide comprehensive 21st century editorial and publishing services for unique niche-market publications in print and new media. In addition to her formal education, she continues independent study in the work and methods of Marshall McLuhan, after a first introduction to this via McLuhan friend and collaborator, Barrington Nevitt. Producer, writer, and social media consultant, Carol Sill is always seeking ways to apply the transformative power of social connectivity. 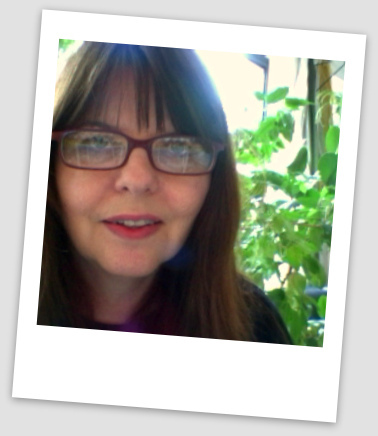 Her experience in media, consciousness, culture and technology infuses her work with clients and in groups. She loves meditation, gardening, and tea culture and is a grandmother of two. She lives in Vancouver, British Columbia with her husband, the artist James K-M, and can be contacted, her Facebook page is here or follow Twitter @ CarolSill. Grateful to Amidha Porter, pupil of Shamcher for the wordings which I borrowed for the Title of this Interview, "A Friend Beyond Compare."